The Lindi based Cassava Starch of Tanzania Corporation (CSTC) cassava plant will produce 60 tonnes of cassava per day. This will help create more produce as well as increase food security in the nation. 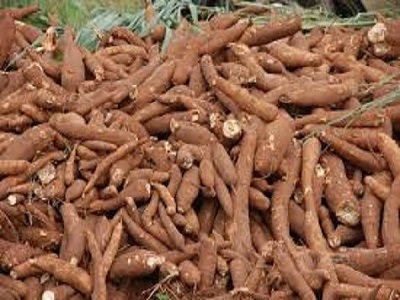 Cassava is a major subsistence crop, after maize, especially in Tanzania’s semi-arid areas. This is why the construction of a cassava plant in Tanzania is vital as it will create more revenue. Engineer Stella Manyanya who is the Deputy Minister of Trade, Industry and Investment said the factory has started pilot production since January 2019. She also said the completion and official take-off will provide market for cassava farmers in the southern region. According to her, the Cassava market is expanding worldwide, so farmers need to receive professional advice. She said this advice will come from institutions like Small Industries Development Organisation (SIDO) and Tanzania Industrial Research and Development Organisation (TIRDO). This advice will help farmers to have the best understanding about processing cassava for the world market. Meanwhile, countries like China are highly in-demand of cassava products for their food and pharmaceuticals and even as a bio-fuel. Engineer Stella said Cassava is among the agricultural produce that the ministry is prioritising so as to boost the country’s economy. It will also increase the country’s Gross Domestic Product (GDP). The ministry is already in touch with the private sector to collaborate and help expand the cassava market. The involvement of the private sector will definitely benefit cash crop growers.